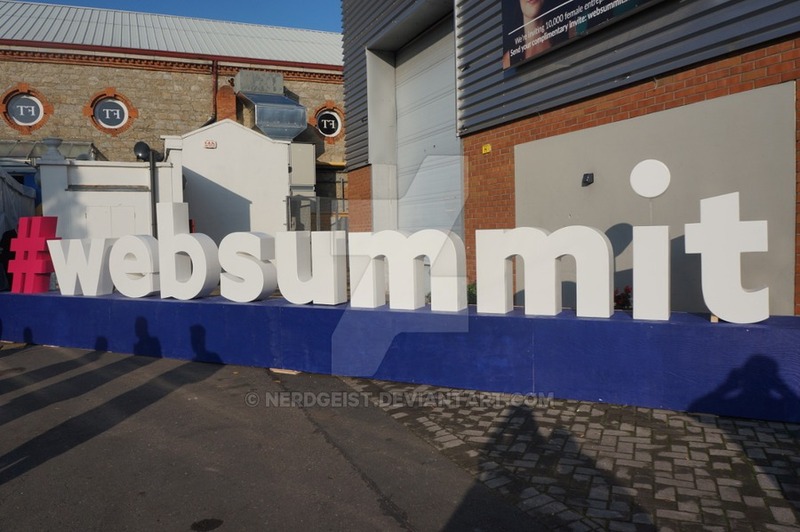 It’s that time of year folks, Web Summit, which is the annual gathering of thousands of attendees including the techs, geeks, investors, innovators, media and power players into the heart of Dublin. Well last time in Dublin since it will take place next year in Lisbon but it could be back in Dublin in the future. 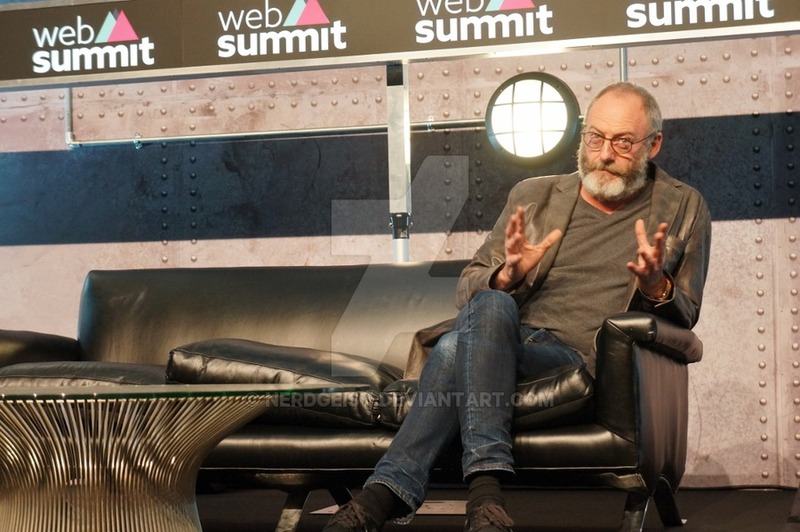 The Web Summit is back in full swing and has not failed to disappoint with its exceptional turn out and high standard of attendees. I’ve been all over today seeing what the Build, Machine, Marketing, Content and all the other Summits have to offer and all I can say is, I want it all. There is so much genius and ingenuity on display that it’s sad this may be last year we will see this in Dublin’s fair city for a while. Let’s not dwell on the past and an unknown future but just dive into day one’s fantastic highlights. After exploring the many Summits that where on offer and soaking up the atmosphere, plus some of that oh so delicious coffee, we ended up going to the main stage and catching Natalia Vodianova’s talk about her charity based app Elbi. First off I should mention this is one hard working women, mother to four kids, as she heads up her own charity and also has helped lead the creation of Elbi, By the way she does all this while being a super model, I really don’t have any excuse for my lethargic behaviour. Elbi is like a social network for charities, through micro donations you can help charities raise money. Using Elbi charities won’t need to build their own apps as they can use this as the platform to get their word out there. It helps even the playing field for big and small charities alike. It lets you get in touch with the charities that touch your hearts. Elbi works under the theory that any small donation can be used to make a real positive impact. I feel I should also take a side note here and mention her other charity The Naked Heart Foundation which is a charity that aims to ensure that every child in Russia has a loving family and a safe and stimulating place to play. This is just another great organisation that she was inspired to make because she grew up with a sister who has autism and cerebral palsy and a single mother, so she was forced to work at the young age of 11. A very inspirational start to the day if I do say so myself. We got to see all sides of this equation, the investor, the start up and the big company, in this case it was none other than Microsoft themselves. In an ideal world this mix of young and old blood leads to the perfect mix of new views, new ideas, old power and of course the big name that gives you brand recognition, though this only works in an ideal world. 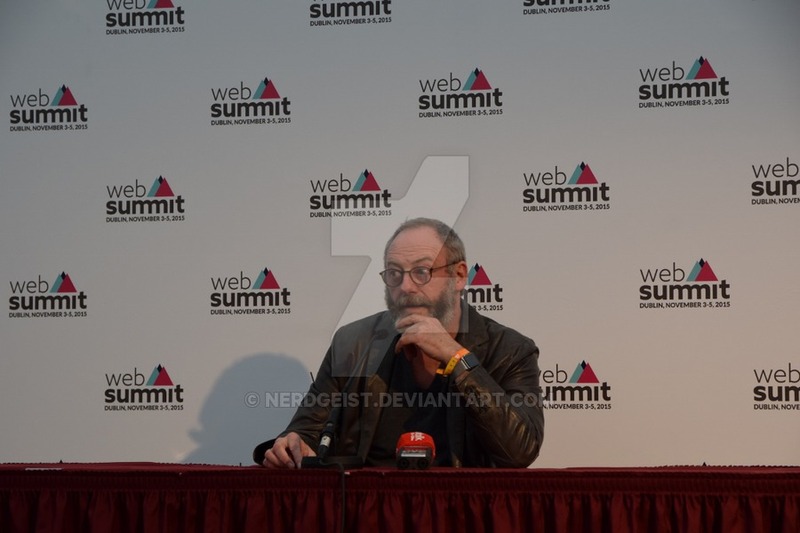 After this we moved onto the Content area of the Web Summit which was the hidden gem of the day. We ended up staying for 5 wonderful and very informative talks that just blew us away. With talks by people representing Forbes, The Wall Street Journal, CBS, Instagram and Storyful we really got to see a whole new side to the world and how things work. The new age may have dawned but its still yet to get into full swing. 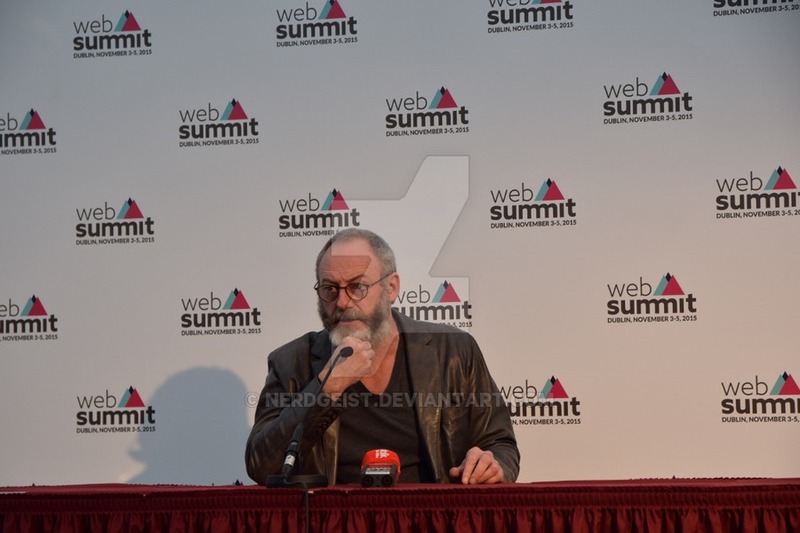 Though if you had been following me on Twitter my absolute highlight was the interview with Liam Cunningham, one of the best actors of the moment and Davos Seaworth from Game of Thrones. 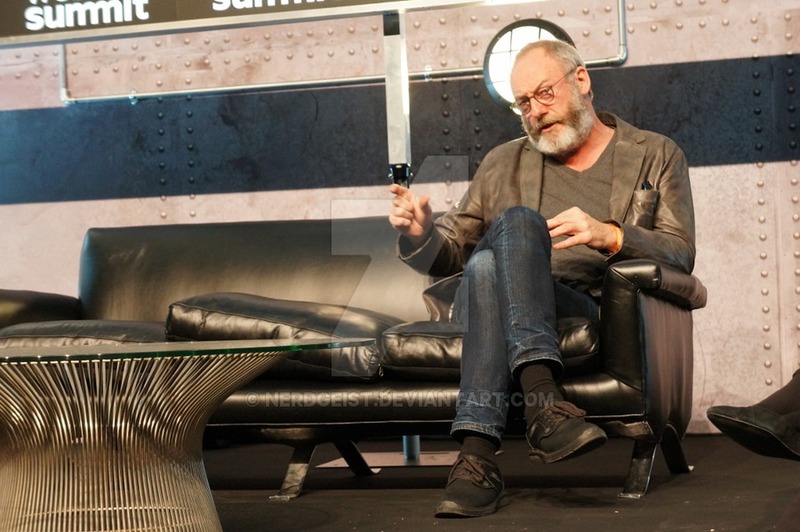 He did a talk on how this is the golden age of television. He even let a few surprises drop like how President Obama is a huge fan of Game of Thrones, sadly he wouldn’t tell us anything about the next season. Later at his press conference he went into further detail about some of his earlier points. Discussing how the viewer is now for the first time in history, in charge of what they see and how in his own words Netflix, Amazon, History Channel and soon Apple are going to create content for the ‘punters’. Though he warns there will be some crap there will be a lot of good that can come of this. 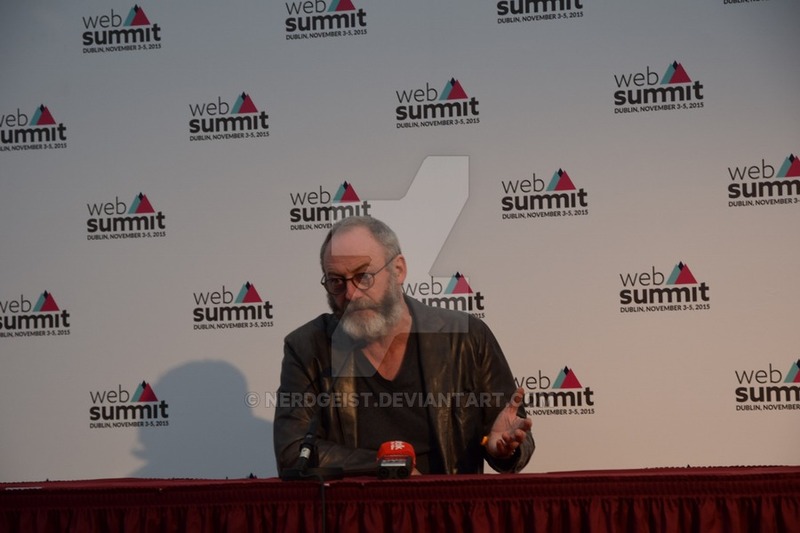 He spoke passionately about how he feels about Ireland loosing the Web Summit. He felt it was a huge mistake and that the government really let the country down by missing this opportunity. 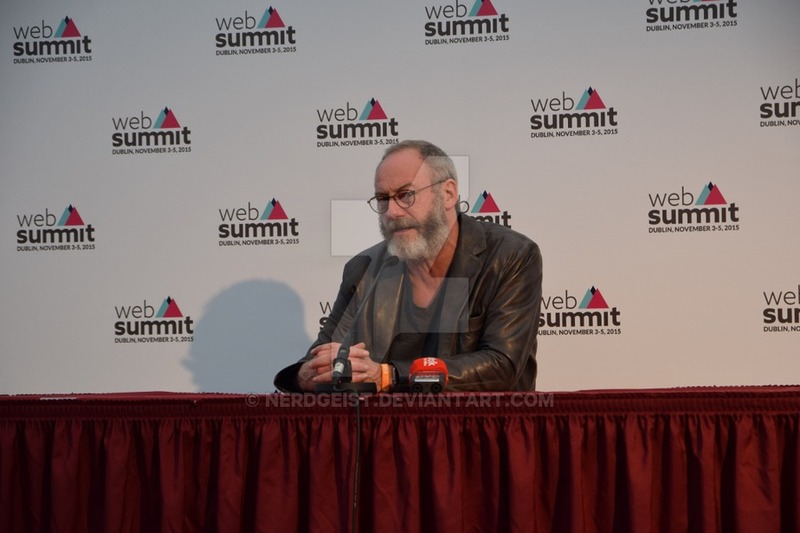 His final points dealt with the public responsibility, he mentions that the Web Summit show cases some of humanity’s greatest potential but we need to keep an eye on the dark and inhuman side of technology. Finally he spoke of the tyranny of even handedness and how in some cases it’s better to get your news from first hand sources than the big names. All in all Liam was a true gentleman and like any great Irish man full of insightful wisdom that will surprise you, plus he had a wicked sense of humour and he showed us his favourite red wedding reaction videos. We finished out our day at the Machine Summit. This was a place we unfortunately had to miss last year but we where lucky to get into, it’s usually packed, this time round we got in for the future of the connected car talk. I am an avid driver so hearing some of the industry leaders thoughts on where the car will be in the next 10 – 50 years was just fascinating and how we are moving to a HUD and interactive system maybe with less buttons and with all hand gestures, it was all very interesting. 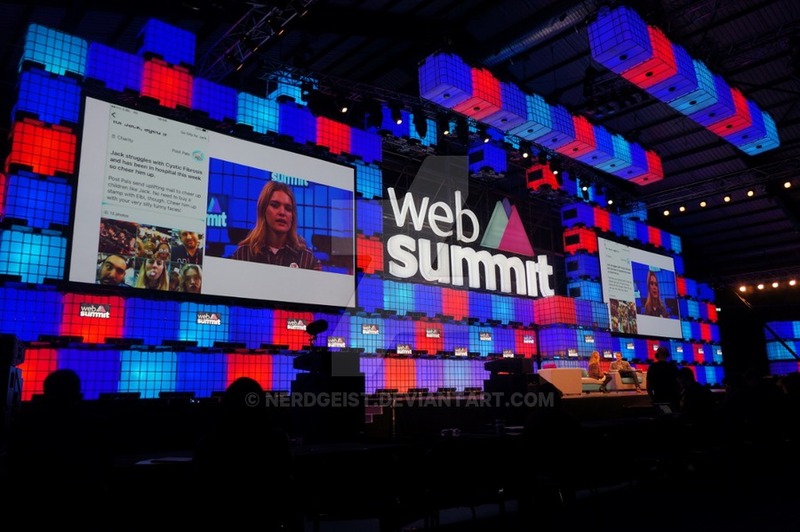 The Web Summit never fails to impress and I can’t wait to see what day 2 has to offer! 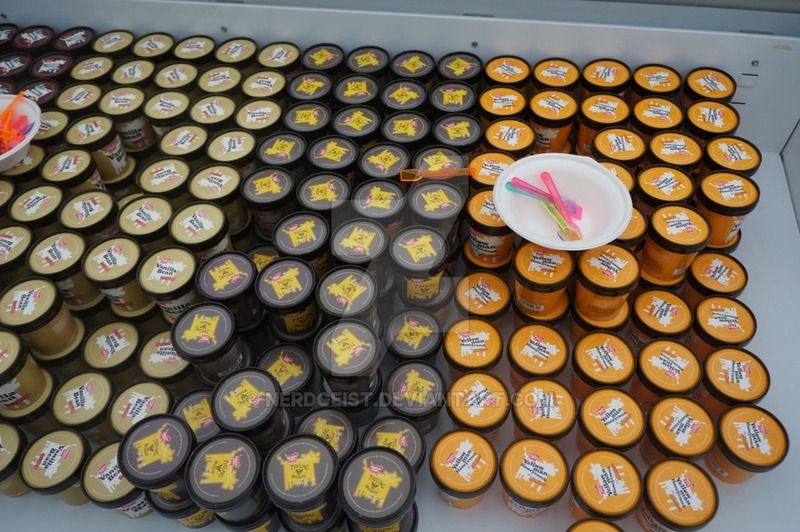 Last but not least I would like to thank Good Food Ireland for keeping us fed and quenched with good local food and drinks in the Media Village. 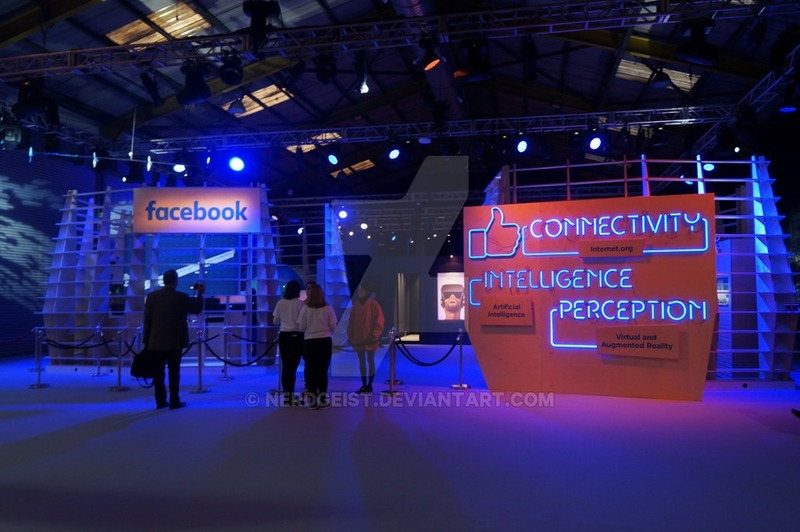 And of course guess what turned up this year at the Web Summit? 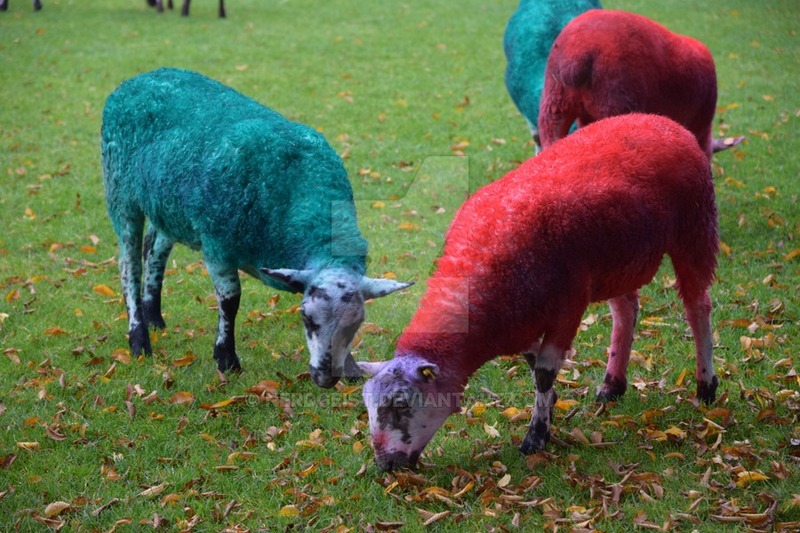 Yes that’s right multi-coloured sheeps.